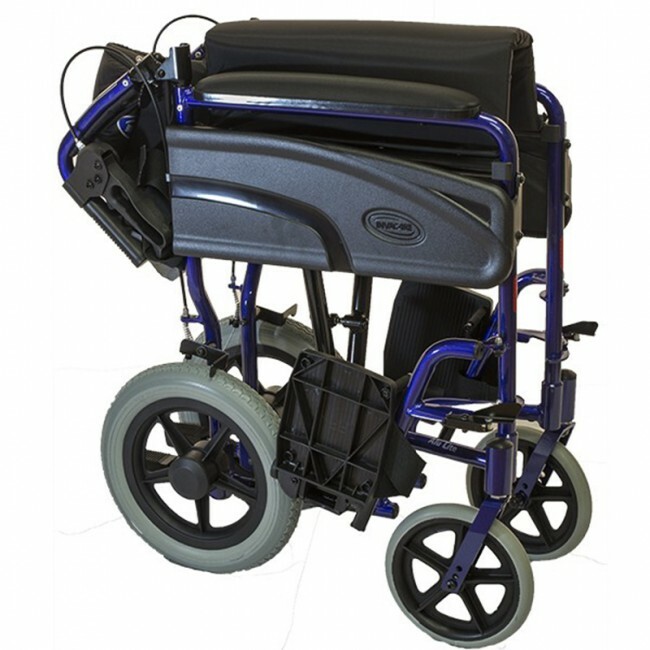 The lightweight aluminium construction of this transit wheelchair makes it easy to manoeuvre, even for an elderly carer, as well as providing a wheelchair that is easy to fold and transport. Folding backrest, swing away footrests and a foldable cross frame allow the chair to be folded easily for storage and transporation. 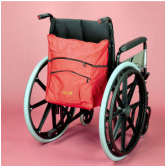 The Alu Lite is designed to be very easy to push and manoeuvre, both inside and out. Due to the smaller overall dimensions and general compactness of this model, getting around in tight spaces is never a problem. 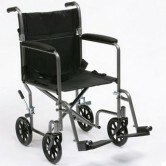 A great transit chair that provides freedom and ease of use for user and carer. 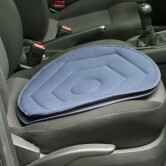 Blue Aluminium Frame with black nylon upholstery. Please view chair specifications and sizing below. 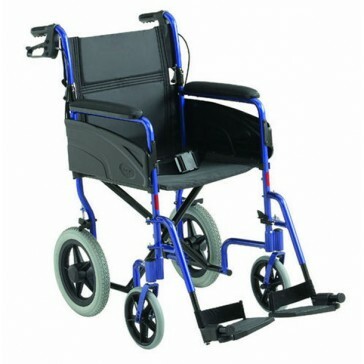 For more information on our wheelchair range, please contact the Carestore on 065 689 0011. 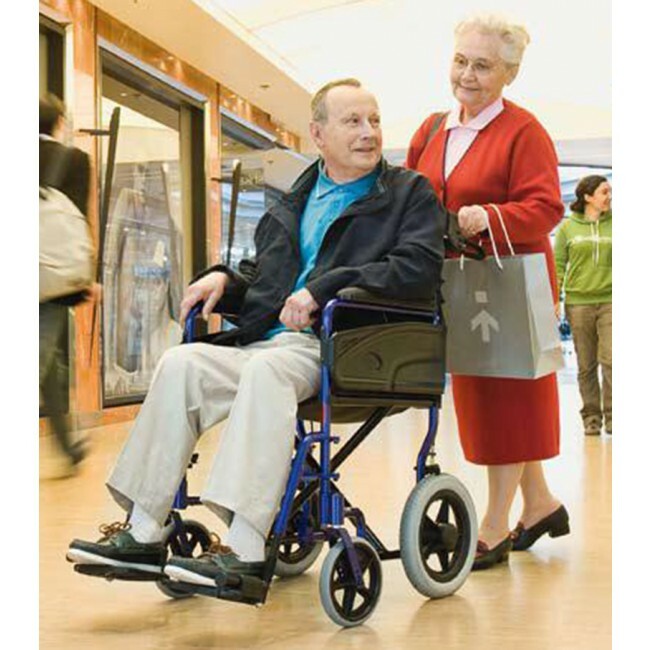 Please contact the Carestore on 065 689 0011 for more information on our Invacare Wheelchair range.